Once we got into town, we decided to follow normal Profluence protocol and stopped for drinks. We started at a restaurant called Passion. 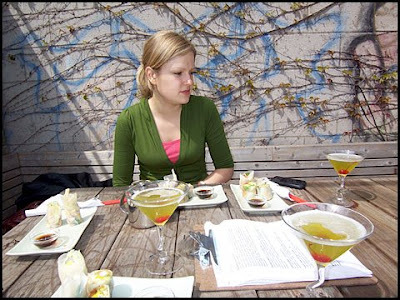 Here Laura is seen wondering if the drinks go with her outfit.